We’d like to express our appreciation for the INCREDIBLE decade of support that Manna has received from the Muskoka Spiritualist Church. The MSC has raised thousands of dollars in donations, making a huge and ongoing impact on our community. “We are just so grateful you keep people’s hunger relief as part of your fundraising,” said Manna volunteer Fyonna Venderwerf. 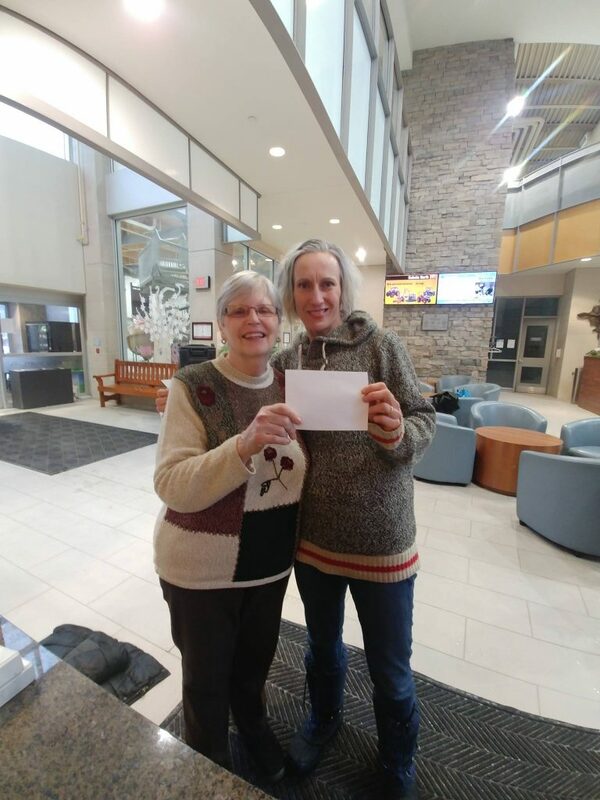 Here is Bonnie Blain from MSC presenting Fyonna with their most recent donation, a cheque for $500.00.